The Honda Accord has long been America’s best-selling car. For the 2018 model year, the Accord got its most dramatic remake in the past 41 years. With updates and upgrades throughout the vehicle, from a restyled nose, through the upgraded 192-horsepower engine and a sleek back end, the new Accord is sure to impress . Keep on reading to find out why more than 13 million Honda Accords have been purchased over the past 41 years and why the Accord will continue to be the No. 2 car in the industry. The 2018 Honda Accord is not only the quickest Accord in the car’s 41-year history, it is now the most sophisticated and spacious model. The 2018 model features a more rigid and lightweight body, a longer wheelbase, and a new chassis. These upgrades create a more spacious cabin with plenty of rear legroom. All models feature new LED taillights and headlights, Honda Sensing® safety and driver-assertive technologies, dual-zone climate control, and a customizable 7-inch digital driver’s meter. The 8-inch Display Audio touchscreen with tuning and volume scrolling knobs is compatible with Apple CarPlay™ and Android Auto™ . What’s under the hood of the all-new 2018 Honda Accord makes it the quickest model yet. With the 2018 Accord 1.5T model drivers will find a 1.5-liter DOHC direct-injected VTEC Turbo inline four-cylinder engine. This engine offers 192 horsepower and 192 lb.-ft. of torque, which makes it the most powerful engine to ever be installed in an Accord. In November 2017 drivers will be offered the 2018 Accord 2.0T, which features a 2.0-liter VTEC Turbo engine that offers 252 horsepower and 273 lb.-ft. of torque. Both models are paired with a Continuously Variable Transmissions, while the Sports Trim offers the option of a short-throw 6-speed manual transmission . Are you interested in the all-new Honda Accord? Want to test drive the new Honda vehicles for sale in Orange County? 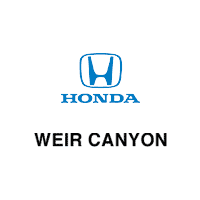 Head on down to Weir Canyon Honda today where we can take care of all your new Honda needs. 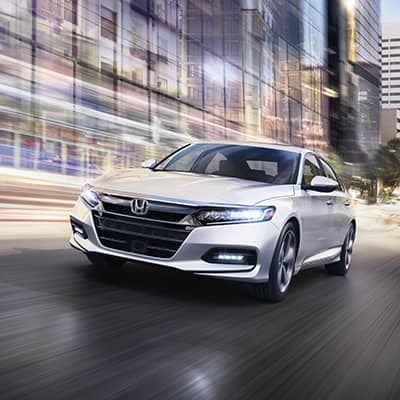 The post Take a Look at the All-New 2018 Honda Accord appeared first on Weir Canyon Honda Blog.